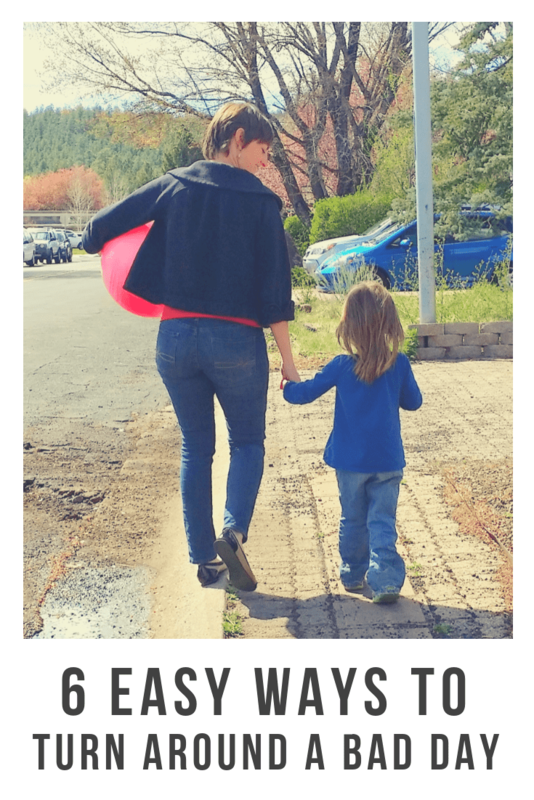 This week I had an experience that gave me a physical reminder about how important it is to care for myself if I want to be a connected, positive parent. I took a fall on my bike and managed to very badly scrape my forearm. It was gross. I won’t go into it more, but it’s the kind of wound that was causing enough pain the first couple days that I was feeling nauseous at points, and I was exhausted at the end of each day. Blah. 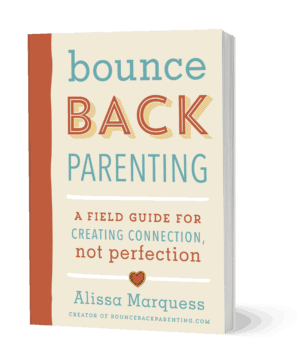 How this relates to us as bounceback parents – this injury has been a powerful reminder about the relationship between how we feel and how we react to our kids. These last few days I’ve been, “prickly” as my kids say, because of pain. This wound has been annoying because it has to be left uncovered and it’s very, very tender. All there is for it, is to be aware that it’s there (you know, keep it clean, not bump against it), and wait. It is a gift because it’s reminding me that this sort of self care is healing and necessary, not only for wounds of the body. Sometimes we have scrapes on our soul – grief, losses, childhood hurts, that require basically the same treatment: acknowledgement, gentleness…time. And when those soul-scrapes sting, it’s easy to take out the pain on our kids instead of noticing what’s really going on. Truth: as a life long people-pleaser, honoring the need to take care of myself is a work in progress. 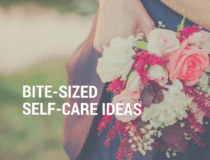 Sometimes I’ll be in pain, and take out that feeling on my kids by being angry or snapping without realizing where my bad attitude is coming from, when I could avoid this by taking better care of myself. It gets more challenging to separate our own story from what’s going on with our kids when we suffer an emotional trauma. When the pain is one of the psyche rather than the physical body – can you still see the need to care for yourself? If you had a dream last night about your mother who you miss terribly since she died, and it haunted you throughout the day…it might not be immediately clear to you that your grief is welling up, making you more sensitive and that’s why you snapped when your 4 year old would NOT STOP chattering at you this afternoon. I’m not a therapist, but I can tell you from experience that losses or other emotional wounds from our past can be powerful and sneaky – letting us go along thinking we’re fine until, BAM, it hits again, and there we are: Prickly, with a hair-trigger temper, ready to snarl at anyone who crosses us. What isn’t immediately apparent in these moments, is the opportunity it opens for healing. The injury on my arm this week was a visible, physical wound – it was easy to see that it needed gentleness and time to heal. Our past griefs are the scrapes on our soul, sometimes covered up for years, but also asking for healing. When they feel raw, we have an opportunity to give ourselves compassion and the self care we need. 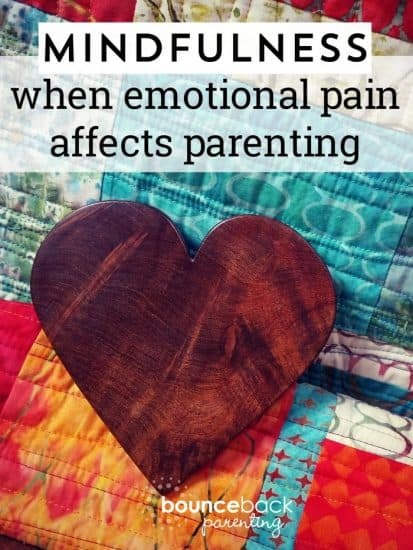 To paraphrase Jon Kabat-Zinn, in his book on the Inner Work of Mindful Parenting, unhealed, unacknowledged grief can affect our parenting and our life in toxic ways. The grief stays with us, a hidden shadow cast across our memory. If we pretend we don’t have this shadow, that stuffed down grief festers as this shameful unaccepted part of ourselves. 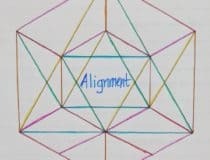 It influences our choices, our reactions to life circumstances and the way we parent our children in ways that may not even show up until our outer world begins unraveling. He goes on to suggest that in order to reach what might be called ‘true adulthood’ we do the unfinished work of parenting ourselves by becoming conscious of these shadows, and accepting them as part of ourselves. We do this by listening and speaking with our inner darkness, acknowledging it, holding ourselves with acceptance and compassion. My children are the people most likely to bump into one of these griefs, these scrapes on my soul. They are the people who first make me notice when my outer world starts unraveling, and they are the people most likely to suffer my bad temper in those time when an emotional wound feels raw. It doesn’t feel like a gift. 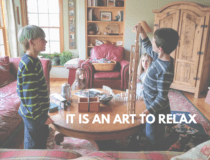 But I wonder if the moments when I notice that I’m over-reacting to my kids are actually that – a gift, an opportunity for self care and stepping towards wholeness. Like physical pain, emotional pain is a wound. Wounds take time to heal, and heck, they can make us grumpy. When a wound is causing pain, we don’t need self-judgement or guilt. And we don’t need to take it out on our kids. 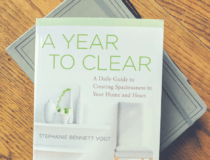 The place to start when you notice yourself reacting out-of-proportion to the moment (perhaps by noticing an unexpected flash of anger or gritted-teeth frustration), is by gently asking yourself if something’s going on underneath your veneer of anger. You don’t have to understand why you’re feeling the way you are. You don’t have to know how to fix it, or be able to explain the pain to someone else. You can start simply by acknowledging you’re experiencing pain. You’ve bumped against a soul-scrape that needs acknowledgment, time, and gentleness to promote healing. Have the courage to take care of yourself, even if that self care is just shrugging off the guilt as you let go of the extra things you hoped to get done today, or changing the way you talk to yourself to be more forgiving as you realize you’re feeling sad or vulnerable. It’s not selfish to care for your body or soul. 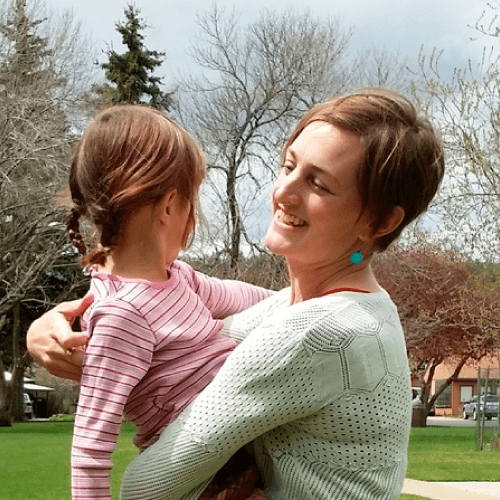 This is the path to becoming a resilient parent – a parent who faces challenges, or feels pain, and comes back stronger, more emotionally steady, and more compassionate for others because of the compassion you’re developing for yourself. Links to books are affiliate links. Book: Parenting from the Inside Out by Daniel Siegel and Mary Hartzell – Each chapter in this book includes exercises to help you reflect on your own life and become conscious about how your experiences shape the way you feel about your family life and situations. Book: Everyday Blessings The Inner Work of Mindful Parenting by Myla and Jon Kabat-Zinn – The chapter on Darkness and Light in particular deals with our own pain in parenthood. 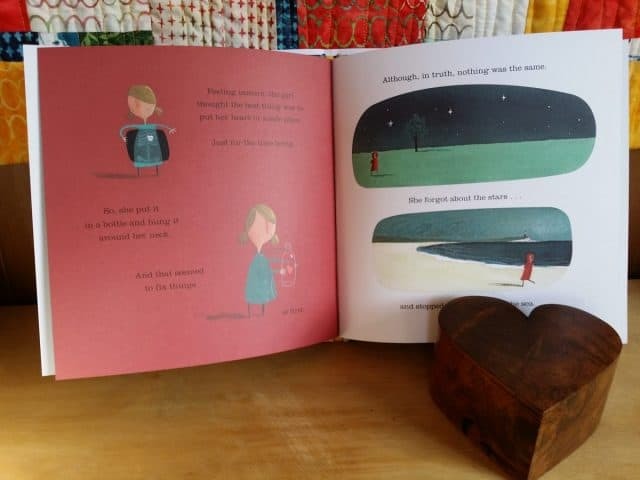 Picture Book: The Heart and the Bottle by Oliver Jeffers – A young girl who loses her father and decides to hide her heart in a bottle to keep it safe from ever hurting again. This is the story of what happens when she decides to take her heart out again. Healing and beautifully illustrated. Learn your Anger Signals so you can notice them sooner – before you can notice that you’re becoming emotional over heated, it helps to get really clear on what signals your body and brain sends at the boiling point. Please remember that any advice or recommendations given on this blog are not meant to replace medical advice or the direct advice of a mental health professional. 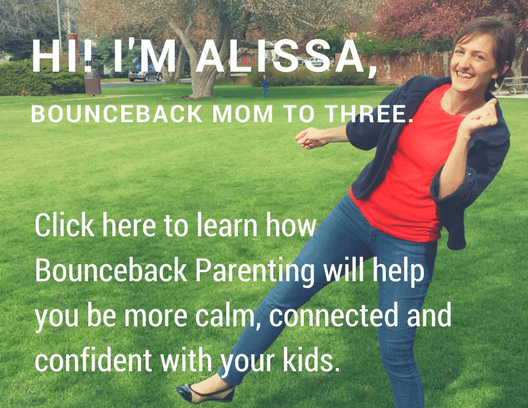 Are you a member of the Bounceback Parenting’s Learning Lounge? 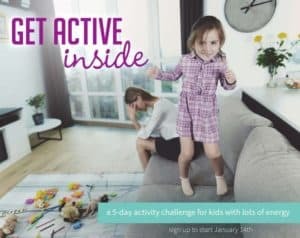 We’re an online community dedicated to supporting you in learning how to practice a growth mindset in your parenting so you can enjoy your kids more and develop resilient, connected relationships in your family. You can find out more and join us here.